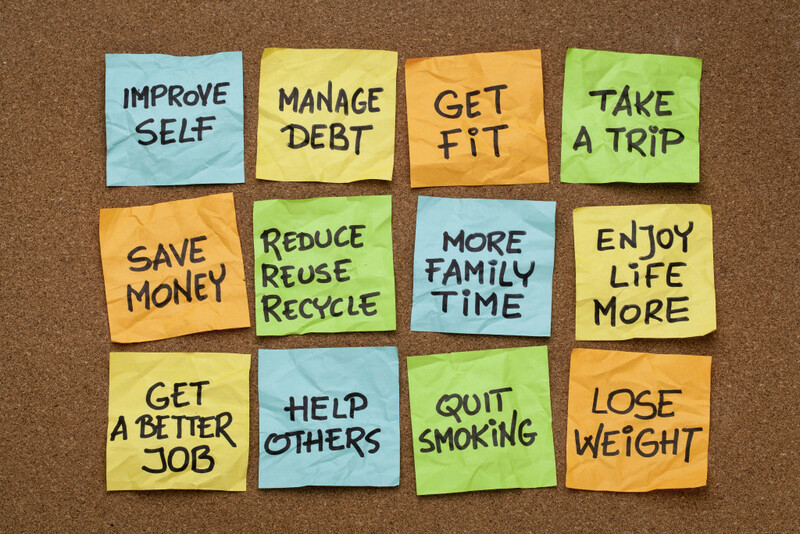 Have you made your new year’s resolutions yet? The start of a new year provides us with a chance to look at our lives and make positive changes for the coming months. While you may have already made your resolutions, it can be beneficial to make resolutions that are focused on helping others as well as yourself. You already know that you should exercise regularly for optimal health, but many people think that means you have to pay for a gym membership or find some fancy group aerobics classes. The truth is that your body needs movement—any kind of movement—to be healthy. Physical activity helps you brain create new neurons that will improve your memory and help you learn new things as you get older. Start small with a little bit of exercise, such as a 10-minute walk in the morning and evening, and make it a daily habit. Social connections are critical to happiness and well-being, and we’re not talking about social media. In fact, too much time on social media is proven to make us feel less happy. Disconnect from your computer or smartphone and have a conversation with a friend, call your mom or dad and talk to them regularly, or join a book club to get some actual social conversation going. Doing good for others has the added benefit of being good for you. While weight loss and organization are great ways to feel better, getting out and serving others is proven to make people happier and more mindful of their community. Sign up to volunteer a couple of hours a week and see what a big difference it makes in your life. Recycling used to be something that only the tree-huggers cared about, but today many people are becoming aware of the importance of reducing consumption and recycling to eliminate landfill waste. Check the web for information about how to start recycling, Recyclebank has some great resources, or see if your community already has a recycling program in place and resolve to participate, or get one started this year. These are awesome! My biggest challenge this year is to declutter and organize. Great suggestions, I agree… especially the taking time for myself! I’m working on it. I like these. Mine for this year is to be more forgiving, especially to myself. These sound so basic, and should be easy. But, they are critical to a healthy, sustainable life and are in fact hard to adapt as habits. Great reminder that we need to adopt them ASAP and fully! These are great, simple enough to follow but so important for improving your life. I need to work on everything on this list, great reminders. I definitely agree with these. The more general the more you will stick with them too! Of all of thee the one I need to work on is get moving. Right now anytime I do anything I’m exhausted because I need to get in shape. I never really make any resolutions for the New Year (just goals throughout the whole year), but these are all wonderful resolutions! I think I need to do all of those except “quit smoking” since I don’t smoke. The hardest commitment seems to be “get fit”. I totally agree with these. Thanks for the reminders! Great list. I think each of these is on my own personal list but I am especially trying to volunteer in my community this year. I always want to get moving more, but never actually do. I wish I had more motivation in that respect. I think working out can start in small ways like you said. Something is better than nothing and it all leads to good things! I agree with almost all of the new year’s resolutions posted! my personal one is get fit. Great resolutions we should all try to keep. I’m really trying to keep mine this year. I tried so hard to save money last year, unfortunately, it didn’t work! Here’s to the new year, hopefully this is the year! What a great list. I’ve spent more time volunteering this year, and it’s been really rewarding. I never make resolutions but I do make goals and really like to set ones that I know I can accomplish. I don’t do well with failure.